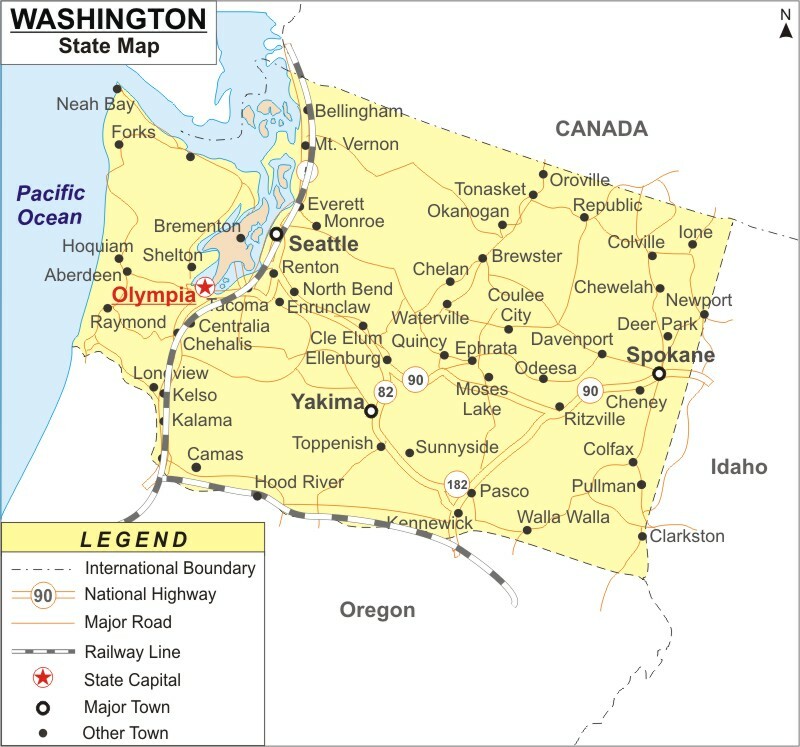 About Map: Washington Map showing the capital, state boundary, roads, rail network,rivers, interstate highways, major cities and towns. North-South interstates include: Interstate 5 and Interstate 205. East-West interstates include: Interstate 90 and Interstate 82. Route 2, Route 12, Route 97, Route 101, Route 195 and Route 395.